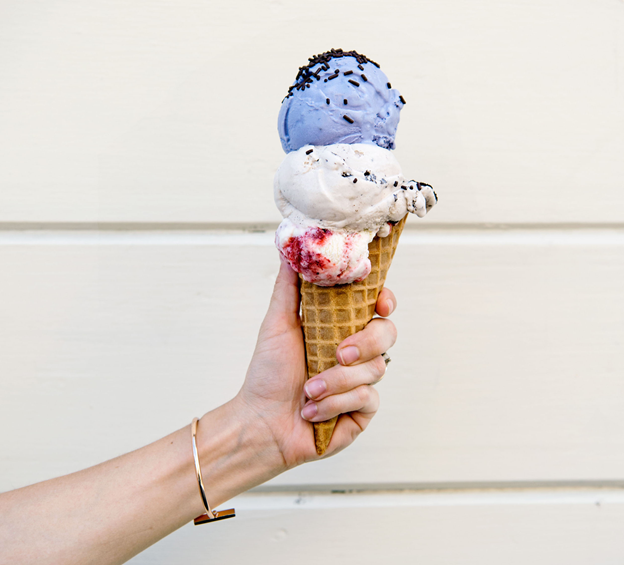 Ever wonder what the difference is between Ice Cream and Gelato? 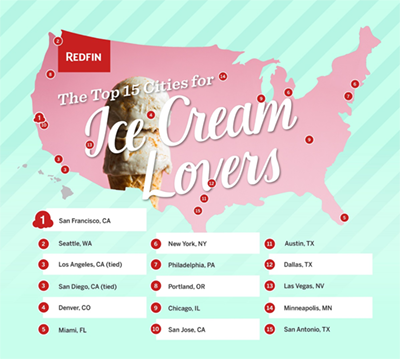 There are ice cream shops and gelato shops all over the Bay Area these days. 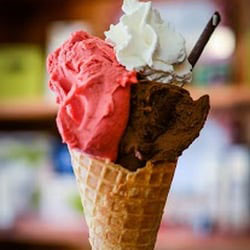 Since “gelato” is the Italian word for ice cream, it would make sense that ice cream and gelato are one and the same. There are differences, however, which you probably noticed when you tried gelato for the first time after eating ice cream most of your life. One big difference between the two is that gelato is made with more milk and less cream than American style ice cream. 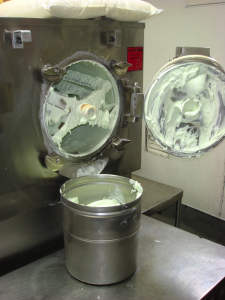 Gelato has between 4% and 9% butterfat, while ice cream is a minimum of 10% butterfat. 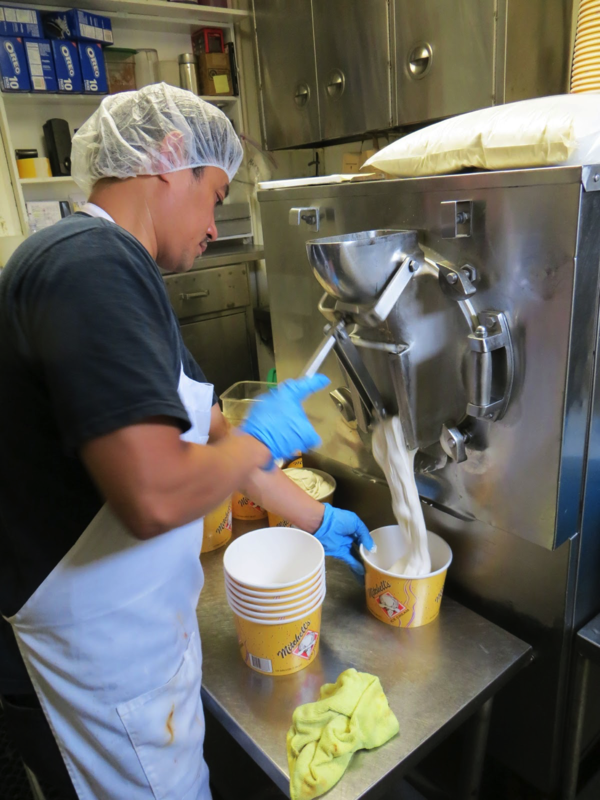 Most ice cream stores in the Bay Area have 14% butterfat ice cream, and Mitchell’s has 16%. That means that gelato is lower in fat, and ice cream is richer and creamier. Another difference between the two is that ice cream is churned at a much faster speed than gelato, so ice cream has more air, which makes it lighter in texture. Gelato is churned at a very slow speed, which allows less air into the base, thus making it denser than American style ice cream. Since gelato is denser and lower in butterfat than ice cream, it must be served at a higher temperature. Ice cream is usually served at about 5 or 6 degrees above zero, while gelato is best served at between 10 and 12 degrees above zero. If the temperatures for each were reversed, the ice cream would be melted and the gelato would be hard as a rock! While there are definite differences between the two, they also have a lot in common, and some recipes are so similar that it’s hard to tell whether you’re eating ice cream or gelato. One thing’s for sure, everyone loves ice cream, whether it’s American style or Italian style! Peach, Cantaloupe, and Espresso Toffee Crunch: Our Summer Flavors Are Here! Summer is here and you know what that means! Mitchell’s eagerly awaited summer flavors, Peach, Cantaloupe, and Espresso Toffee Crunch, have finally arrived and are better than ever! You will love these rich, sweet, and decadent treats. Indulge in our Peach ice cream, made with luscious, juicy peaches from Clovis, California. The peaches are blended with our rich cream base to create an undeniably delicious flavor. If you want ice cream that reminds you of a warm summer’s day, we highly recommend you try Mitchell’s Peach ice cream! 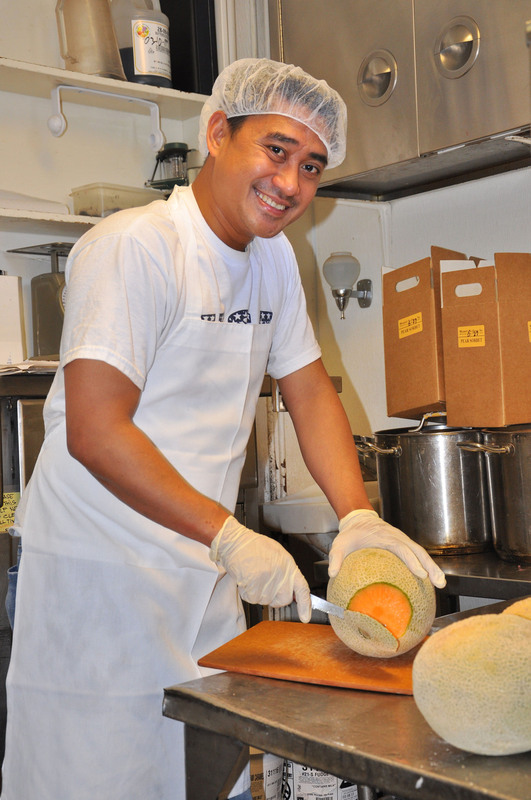 Our ice cream makers spend a lot of time peeling, chopping and deseeding cantaloupes at this time of year — all for our fabulous Cantaloupe ice cream. After the cantaloupes are peeled and chopped, they’re poured into a food processor and diced to ensure that they’ll be evenly spread throughout each 10 gallon batch of ice cream. The end result is sweet, dreamy cantaloupe heaven! Our third summer flavor is called Espresso Toffee Crunch. We blend ground espresso beans with dark chocolate enrobed English toffee and chocolate espresso flakes to create a really rich, creamy jolt of flavor. The sweet, rich flavor will overwhelm your taste buds with creamy goodness! When you stop by our shop, be sure to ask for a taste of our three summer favorites. They won’t be here forever, and we think you’ll really love them! Mitchell’s Ice Cream opened for business on June 6th, 1953. Founders Larry and Jack Mitchell started out making 19 traditional American flavors, but a few years after they opened, one of their customers convinced them to try making a flavor that no one else in San Francisco had ever made before –Mango! 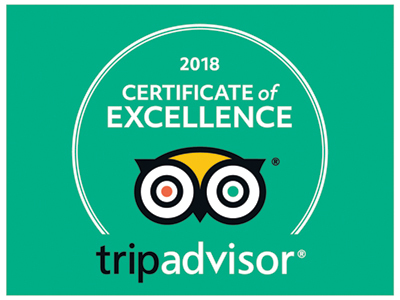 It was an immediate success, and it convinced them to add more and more tropical flavors to their menu board over the years. We now have over 40 flavors on our board every day, and Mango is still our top seller. Ube, Macapuno, Buko and many of the other tropical flavors Larry and Jack created are still among our most popular flavors today. 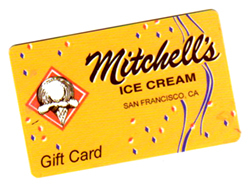 For more information about Mitchell’s history or our summer flavors visit our website at mitchellsicecream.com/ or give us a call at 415) 648-2300!